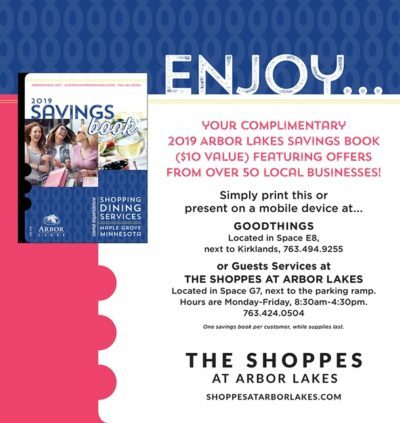 Get a free 2019 Arbor Lakes Savings Book (a $10 value) featuring offers from over 50 local businesses! You’ll just need to print this offer or present it on a mobile device at Goodthings or Guest Services at The Shoppes at Arbor Lakes in Maple Grove. There is a limit of one savings book per customer, while supplies last. 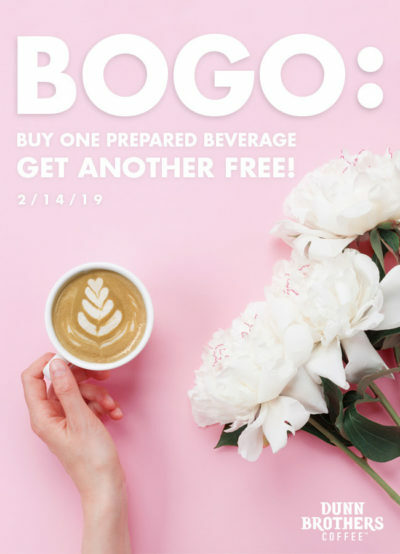 Treat your sweetie to a beverage at Dunn Brothers with a buy one, get one free deal today on prepared beverages! Just present this coupon (offer code 10022) to the barista. Find a Dunn Brothers Coffee near you. If you haven’t already downloaded the Chinook Book mobile app, you NEED to check it out! It’s a fantastic resource to get some great local coupons for various businesses without having to print them out. Right now, they’re offering all of the Hennepin County Choose to Reuse Coupons (70+ one-time offers) with the latest version of their app. These coupons are good through 10/31 and contain deals from Savers, Half Price Books, Clothes Mentor, Once Upon a Child, Wheel Fun Rentals, and MANY more! You also have the option of purchasing full access to all of the Chinook Book coupons for $15 (they offer a free 30-day trial to get you started). These coupons include offers for Lunds & Byerlys, Can Can Wonderland, Minnesota Children’s Museum, Prima…the list goes on and on! 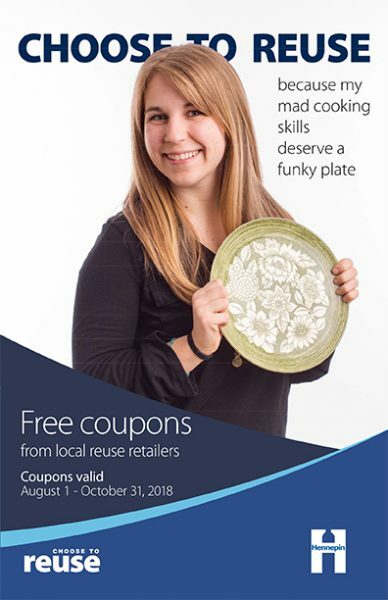 PS – You can also pick up a copy of this year’s Choose to Reuse coupon book at one of their retail partners or request to have a copy mailed to you. Ok. I think this is a great deal this week! 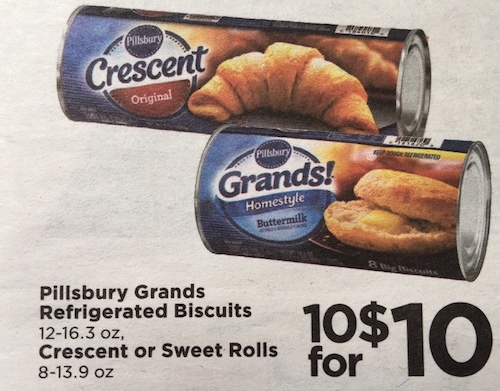 Cub Foods has lots of Pillsbury canned products on sale for only $1 each with their 10 for $10 sale! (Note, you don’t HAVE to buy all 10 to get the deal. They ring up at $1 each even if you buy less.) Included in the sale are Grands Biscuits, Cinnamon Rolls and Crescent Rolls. BUT, you can make this deal even BETTER with this printable coupon to save $1 when you buy 3 cans of Pillsbury Grands biscuits! (You should be able to print this coupon twice. I love to use the canned biscuits and crescent rolls to make quick and easy meals. You can wrap up just about anything – cold cuts, leftover meat, hot dogs – in a biscuit or crescent roll to make a quick and easy dinner. 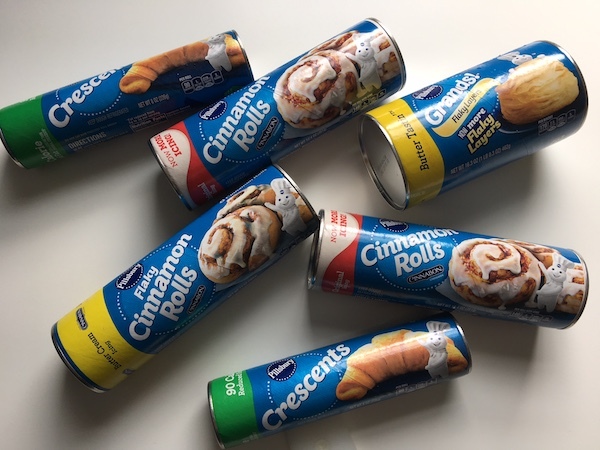 Here are a few recipe ideas to help you use all your $1 Pillsbury cans! We are big fans of Jersey Mike’s, so I grabbed this deal in a hurry. 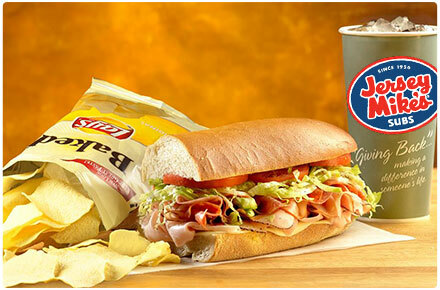 Pay only $1 to get a coupon valid for a FREE Jersey Mike’s sub when you buy a sub, chips and a drink. (Up to a $6.95 value). You can choose from 6 metro locations and your coupon will be valid through 4/17/14. I love their Philly Cheesesteak – so good! This week at Lunds or Byerly’s you can get a FREE jar of Our Family Peanuts with an additional $10 purchase. You can either print the coupon or show it to the cashier on your smartphone. Coupon expires 1/29/14. They are also having a BOGO sale this week with some good prices on Kraft shredded cheeses (2 for $3.85), Earthbound Farm Organic Salads ($4.49 for 2) and others. 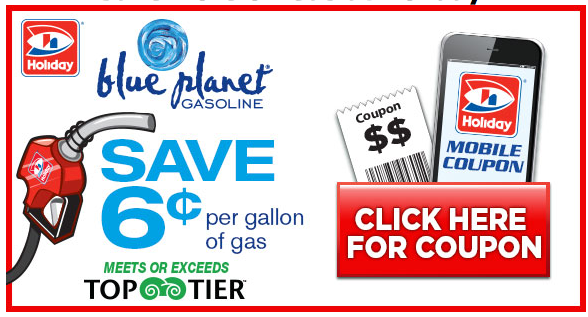 Holiday Printable Gas Coupon – Save 6 Cents Per Gallon! So apparently the price of gas is going up again! Save yourself $.06 per gallon at Holiday with this printable Holiday gas coupon valid through 1/16/14. This week, make a $10 purchase at Lunds or Byerly’s and receive a FREE bag of Lunds and Byerly’s Kettle Chips when you present this printable coupon. The Mesquite BBQ flavor is so delicious! Coupon expires 1/8/14. 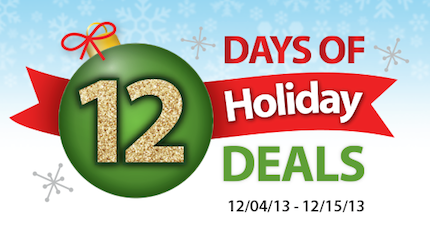 Cub Foods is getting into the spirit of the season with a “12 Days of Holiday Deals” promotion. Every day through December 15, Cub is offering a high-value coupon each day. For example, today’s coupon was a dozen eggs for only $.25! Each day you can find the new coupon on Facebook.com/Cub and on Twitter at @cubfoods. The 12 unique coupons are good for one day only, so you’ll have to use them quickly!